© Erin Mulligan. All rights reserved. 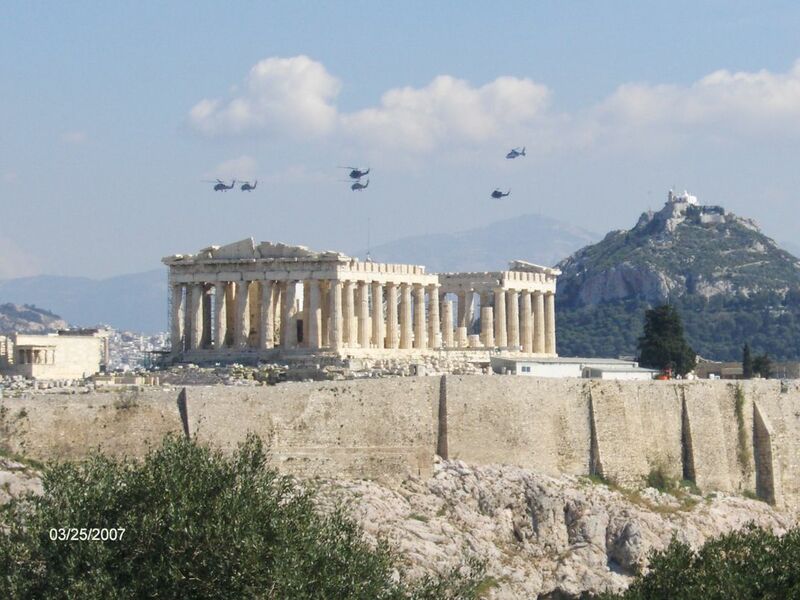 Helicopters fly over the Parthenon in celebration of Greek Independence Day. Date Uploaded: Aug. 10, 2009, 6:59 a.m.